In order to expand the economic co-operation with foreign countries and to serve the cause of industrialization and modernization on the basis of ensuring investors' rights and legitimate interests as well as to strengthen the efficiency of the State management in relation to foreign direct investment activities in Vietnam. This law makes amendment and supplement to a number of provisions in the Law on Foreign Investment in Vietnam, which was passed by the National Assembly of the Socialist Republic of Vietnam on 12 November 1996. Regions with extremely difficult socio-economic conditions." "1. The most important issues relating to the organization and operation of the joint venture, namely: appointment and dismissal of the General Director or the First Deputy General Director; amendment to and complement of the Charter of the enterprise, shall be decided by members of the Board of Management attending the meeting on the basis of unanimous decision. Parties to the joint-venture may agree to name other issues in the Charter to be decided on the basis of unanimous decision"
Enterprises with foreign capital, parties to the business cooperation contracts during their operation shall be entitled to convert the form of investment, to divide or separate, consolidate or merger the enterprise. The Government shall provide for conditions, procedures of such conversion of investment form, division, separation, consolidation or merger of enterprises." During the course of investment in Vietnam, capital and other lawful assets of foreign investors shall not be requisitioned or expropriated by administrative measures, and enterprises with foreign capital shall not be nationalized. The State of the Socialist Republic of Vietnam shall protect industrial property rights and shall guarantee the legal interest of foreign investors in respect of technology transfers into Vietnam." Be considered to compensate adequately in some necessary cases. 2. The new provisions with more favorable conditions which are issued after the investment license granted to foreign investors shall be applied to the enterprise and the parties to business co-operation contracts." "Enterprises with foreign capital and the parties to business co-operation contracts shall be allowed to buy foreign currency at commercial banks in order to satisfy current transactions, and other permitted transactions in compliance with the regulations on foreign currency management"
The Government of Vietnam guarantees the balance of foreign currency in respect to the principally important projects under the Government's programs from time to time. The Government of Vietnam assures its assistance in maintaining foreign currency balance in respect to the projects on building infrastructure and other important projects." " Parties to a joint venture are entitled to assign the value of their capital contributed to that enterprise provided that priority is given to the parties in the joint venture enterprise. Where the assignment is made to a party outside the joint venture enterprise, the conditions of the assignment must not be more favorable than those offered to parties in the joint venture. The assignment of capital must be agreed among the parties of the joint venture. The above provisions shall also apply to the assignment of the rights and obligations of the parties to business co-operation contracts. Foreign investors in the enterprise with 100% foreign capital are entitled to assign their capital. In case, profits arise from the assignment, the assignor shall be liable to a profit tax rate of 25% on that profit." "In special cases with the approval of the State Bank of Vietnam, enterprises with foreign capital are entitled to open accounts in foreign countries." " During the course of operation, enterprises with foreign capital and foreign parties to business co-operation contracts may be carried forward their loss in whatever tax year to the following year and set off against the profits of subsequent years for a maximum of five years." " After payment of the tax on profits and other financial duties, an enterprise with foreign capital shall withdraw from the remaining profits to establish reserve fund, welfare fund, extension production fund and other funds decided by the enterprise." " When transferring profits abroad, foreign investors shall be taxed at the rate of 3%, 5%, 7% of the profits transferred, matching with their capital contribution rates to the legal capital of the enterprises with foreign capital and to the business cooperation contracts." "The Vietnamese residing overseas when investing in Vietnam pursuing provisions of this law shall be entitled to profits tax reduction of 20% in comparison with projects of the same category unless they are subject to the profits tax rate of 10%; and shall be entitled to a withholding tax rate of 3% on profits transferred abroad." 1. Enterprises with foreign capital, the parties to business co-operation contracts must pay rent for the use of land, water or sea surfaces; in case natural resources are exploited, royalties must be paid pursuant to relevant provisions. The Government shall provide rent exemption and reduction for the use of land, water and sea surface in respect of Building ? Operation - Transfer, Building- Transfer - Operation, Building- Transfer projects; projects investing in regions with difficult socio-economic conditions, and regions with extremely difficult socio-economic conditions"
When the Vietnamese party contributes to the capital by the value of its land-use right, it shall take responsibility to pay compensations, site clearance and fulfill the procedures to be entitled to use the land. If the Vietnamese Government leases the land, the Provincial People's Committee where the project is sited shall determine the rent and organize the implementation of compensation, site clearance, and fulfill the procedures of land leasing. Enterprises with foreign capital shall be entitled to pledge the assets attached to the land and its land-use right to make guarantees for loans at credit institutions, which are allowed to carry out business operation in Vietnam. The Government of Vietnam shall provide conditions and procedures of pledging and releasing the land-use right of enterprises with foreign capital." 1. Products exported or imported by an enterprise with foreign capital or a party to a business co-operation contract shall be taxed complying with the Law on Export and Import Duties.
?) Construction materials which have not been produced domestically. The exemption from import duties regarding to imported goods mentioned above shall also apply to expansion the scale of projects and replacement or renewal of technology. 3. Materials, components, parts imported for manufacture projects investing in the investment specially encouraged fields or regions with extremely difficult socio-economic conditions, shall be exempted from import duties for a period of five years from the commencement of production. The Government shall provide exemption from, or reduction of export and import duties in respect to goods, for which investment is specially encouraged." 1. Upon the termination of operation as stipulated in Clause 1, 2, 3 of Article 52 of this law, enterprises with foreign owned capital and parties to the business co-operation contracts must proceed liquidating the assets of the enterprise, settling the outstanding liabilities of the parties to the contract. 2. During the liquidation process of an enterprise's assets, if the enterprise is found in bankrupt condition, the liquidation shall be dealt with in accordance with the bankruptcy law. 3. If an enterprise with foreign capital is declared bankrupt, it shall be dealt with in accordance with the law on enterprise's bankruptcy. 4. If the Vietnamese party takes part in a joint-venture enterprise or a joint-stock enterprise by its land-use right, when the enterprise is disbanded or declared bankrupt, the remaining value of the land-use right shall be the enterprise's asset to be liquidated. "The Government shall make provisions on the issuance of investment licenses, registration of investment, decide on the delegation of investment license issuing authority to qualified people's committees of provinces of cities under central authority, based on the master plans and plans for socio-economic development, the investment sector, the nature of the investment, and the scale of the investment project; and make provisions on the issuance of investment licenses with respect to investment projects in industrial zones and export processing zones. "Parties, either of the parties or foreign investor shall submit the dossier of application for investment license to the Investment License Issuing Body according with the regulations of the Government "
The Investment License Issuing Body shall consider the application and notify the investor of its decision no latter than forty-five (45) working days or thirty (30) working days in respect to the projects which is required to obtain an investment permit, and the projects which is required to register for investment license respectively as of the date of receipt of the sufficient application file. The approved decision shall be notified in the form of an investment license. An investment license has power as the certificate of business registration. Any enterprise, individual with outstanding records in business, production or taking a great part in the cause of construction and development of the country, shall be awarded according to the laws. Any foreign investor, enterprise with foreign capital, party to business co-operation contracts, entity, individual, State officer, State body which breaches provisions of the Law on Foreign Investment shall be dealt according to the laws depending on the seriousness of the breach. "1. Inspection of the enterprise's operation must be conducted in strict compliance with that functions, competence and according to the relevant law. 2. The financial inspection of an enterprise must not be done more than once a year. An unexpected inspection is carried out only when there is a proof of violation of laws by an enterprise. When carrying out an inspection, there must be a written decision of the authorized person?s. After completing the inspection, the minutes and conclusion of the inspection are required. The Chief of the inspection group shall be responsible for the contents of both the inspection's minutes and conclusion. The person making decisions to conduct unlawful inspection or taking advantage of inspections for private purposes causing troubles and difficulties for the enterprise's operation, depending on the level of violation, shall be punished or examined for penal liability; if causing damage he or she will have to pay compensation according to the laws. Any foreign investor, enterprise with foreign capital, party to business co-operation contracts, organization, individual, has right to appeal, or to take legal action against decisions or conducts of State officers or bodies that are unlawful or cause difficulties and inconvenience. The appeal, or legal action and the settlement of appeal or legal action must be conducted according to the laws.
" 1. Pursuant to the principles set out in this law, The Government of Vietnam may enter into agreements with foreign investors, or set out insurance and guarantee measures for investment." 2. The foreign investment activities in Vietnam shall comply with the provisions of this Law and other relevant Vietnamese laws. In case Vietnamese laws have no regulation on the matter, the parties may make agreements in the contract to apply foreign laws if the consequence of the application does not contrast with the principles of Vietnamese laws. 23. The phrases of "profits tax" stated in the Law on Foreign Investment in Vietnam shall be amended as "corporate income tax". This law comes into force from July 1st 2000. The Government shall amend and supplement documents instructing in detail the implementation of the Law on Foreign Investment in Vietnam to fit with this Law.  This law was passed by the X National Assembly of the Socialist Republic of Vietnam at its 7 Session on May 16th, 2000.